A report from Shareaholic found that 16.02 percent of web traffic for more than 200,000 studied publishers comes from mobile devices. While more than 83 percent of traffic is from desktop and laptop PCs, web marketers must optimize all web content to reach growing smartphone and tablet user bases. 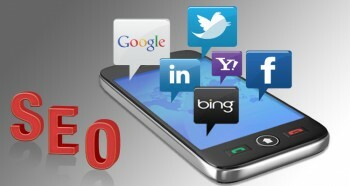 According to the data, mobile web traffic has increased 27 percent compared to 2011. However, mobile visitors have a bounce rate 9.56 percentage points higher than desktop users. For mobile users, a quick exit from a site doesn’t necessarily suggest they won’t convert. Brafton recently highlighted data from YP Insights that found smartphone searchers frequently navigate to a site solely to find locations or other information they can act on quickly. Retrieving a phone number or an address and leaving the site may register as a bounce even though it often results in conversions. Targeting mobile users requires strategies similar to content marketing campaigns aimed at desktop and laptop visitors. One of the only major differences are a focus on contact information users can easily access. Moreover, adjusting keyword strategies to include geographic terms can help stand out within search rankings. Mobile’s integration with local search makes it increasingly likely that consumers look for quick information about nearby businesses. Brafton recently highlighted data from Chitika that suggests 43 percent of searches are local, with 74 percent of these coming from mobile devices.